This month’s Baby Book Club theme is all about diversity – embracing and accepting difference in both others and ourselves. As children grow up, they’re often told to stay in line, sit still and behave well. We rightly want our little ones to be part of a community, but often we feel this means fitting in rather than standing out. The books I’ve chosen explore what it’s like to be different and still belonging. There’s plenty of opportunity here for discussion and fun. This is a total classic. 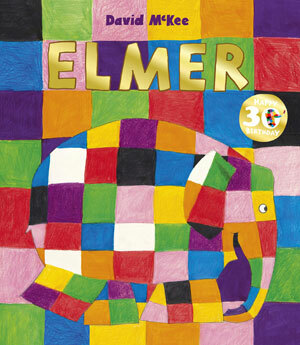 I can’t believe Elmer is 30 years old! Elmer is different, Elmer is patchwork. Instead of being grey, he’s every colour in the rainbow. But this doesn’t stop being part of the herd, he makes everyone laugh. One day, Elmer has a crisis of confidence, maybe his friends are laughing at him not with him. So he disguises himself as an ordinary elephant. Luckily, Elmer’s personality is irrepressible and he soon learns that he is loved and cherished in his community because he’s different. 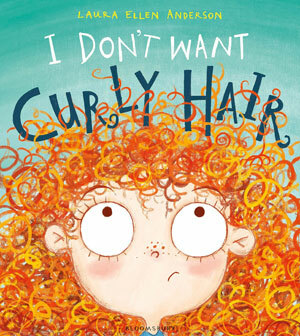 A wonderful tale about embracing who you are. All the dogs in the city are the same, except for one dog. She just doesn’t fit in so she sadly leaves town and finds a place where she’s the same as everyone else. She eventually learns that there’s nothing wrong with standing out and returns to a superstar welcome. 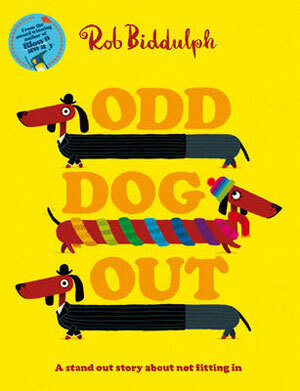 I love the quirky illustrations in this and all those gorgeous sausage dogs – my fave! Carmelita and her Mama are off to see Abuela Rosa. On the way they say hello to all the different people in their neighbourhood in many different languages. 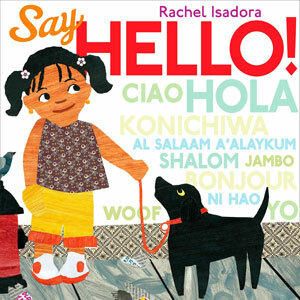 This is a great way to explore how diverse our community can be and how we can connect to people simply by saying hello. There’s a handy guide to pronunciation at the back. 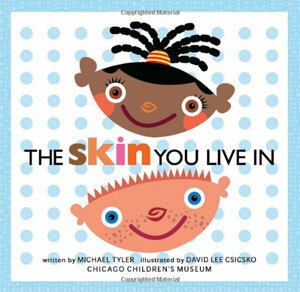 This book is all about your skin colour. It wonderfully describes all sorts of colour skin in irresistible ways. It goes on to talk about how our skin doesn’t make us who we are but that it connects us and holds the uniqueness of us within it. It’s so celebratory and joyful and it rhymes too!! There’s lots of words here so it’s probably better suited for preschoolers than toddlers but the pictures would be fun for toddlers to look at. By the front door there is a big friendly umbrella, it likes to help. This is definitely a book you can read to your toddler. 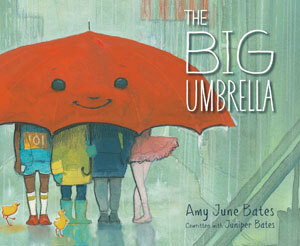 The red umbrella looks so smiley and it gets bigger and bigger to give shelter to anyone and everyone. The illustrations will give you lots to look at and talk about. You can use it as a great way to start conversations about how everyone needs help and shelter and we should help them no matter how tall, hairy or plaid you are! 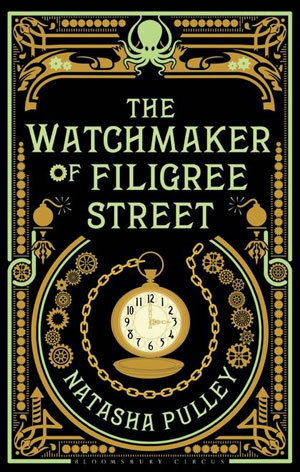 Set in the Victorian era, it features 3 main characters who each have something which makes them different. Thaniel has synaesthesia, meaning he can see sounds. Keita stands out in London because he’s Japanese. Grace is a physicist, unusual for a woman in those times. This wonderful read follows them as their lives become entwined in many and extraordinary ways. Please read it, it’s lovely.